In the first three quarters of 2018, the total volume of imports and exports topped 637.6 billion yuan ($92.1 billion), up 14.5 percent year-on-year. A document was recently released by the Ningbo Commission of Commerce to beef up the city's efforts in attracting investment and businesses. 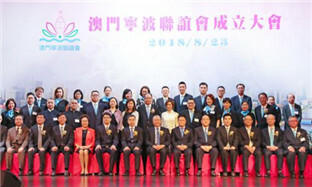 A new association, with the aim of strengthening Ningbo-Macao ties, was established in Macao on Aug 23. 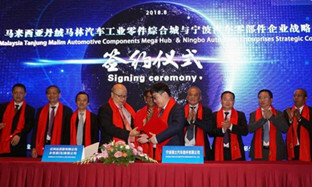 A Malaysian delegation visited Ningbo on Aug 17 to seek exchanges and cooperation in the auto parts sector.